One of the top medical journals in the world showed Chiropractic to be five times better at reducing back and neck pain than the strong pain relievers Celebrex and Vioxx. The Journal of the Spine study took place in 2003 before the potent pain reliever called Vioxx caused safety concerns that pulled the drug from commercial purchase. Drug safety experts explain that removing a drug from the market stems from enough adverse events and deaths being directly attributed to that specific product. Vioxx was removed from shelves on October 1, 2004, after being shown to significantly increase the risk of heart attacks and strokes among users. NSAIDs (non-steroidal anti-inflammatory drugs like aspirin, Motrin, Advil and Celebrex) cause concern due to their toxicity and side effects. They also never get to the cause of pain and inflammation. Every cause has an effect. Proper health care involves locating causes and addressing them appropriately. Addressing causes properly will naturally produce healing and diminish effects. The cause of pain does not stem from a lack of pain-relieving medications. The aforementioned study proved that Chiropractic care relieved back pain five times more effectively than NSAIDs. 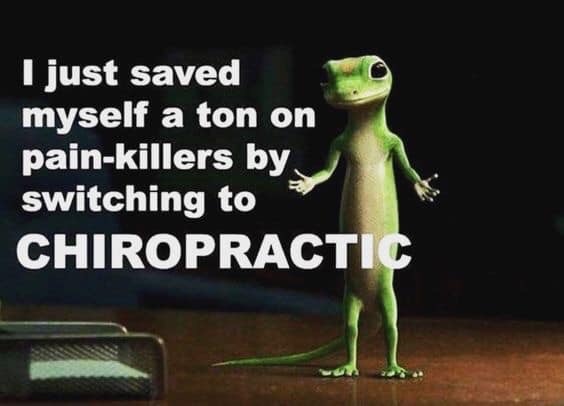 The research proved that spinal adjustments address the cause of back pain instead of simply treating symptoms with powerful and dangerous drugs. The comparative study determined that Chiropractic served patients better than drugs for those in pain. This particular study even weighted the division of patients by assigning those with the worst conditions to the Chiropractic group. Study participants experienced chronic back pain for anywhere between three and eight years and those with chronic pain for the longest period of time were assigned to Chiropractors. Those experiencing the worst conditions experienced the greatest results. 27.3% of patients receiving Chiropractic adjustments reported being asymptomatic after nine weeks of treatment. Only 5% of those using NSAIDs believed their symptoms had dissipated. Chiropractic care proved five times more effective than dangerous drug use. The benefits of Chiropractic extend well beyond providing pain relief. Patients with symptoms and diseases seemingly unrelated to the spine began to experience overall health improvements since the inception of Chiropractic in 1895. The relationship between the spine and the autonomic nervous system directly author these amazing improvements in health and function. Spinal adjustments provided healthy reparations to the nervous system resulting in: restored hearing, reversal of heart disease, prevention of flu and infectious disease, and improved fertility to conceive children. Millions of people continue to share in the benefits first experienced by Chiropractic patients over 120 years ago. Increased performance and function flow through those experiencing regular Chiropractic care. The world continues to evolve in understanding the power of the spine. Nervous system care treats indicators and causes of disease. Spine (Phila Pa 1976). 2003 Jul 15;28(14):1490-502; discussion 1502-3.Chronic spinal pain: a randomized clinical trial comparing medication, acupuncture, and spinal manipulation.Giles LG1, Muller R.